"The job of the grid is to transfer electricity from where it is being generated to where it is needed. " "One small hydro system can power an entire community. " 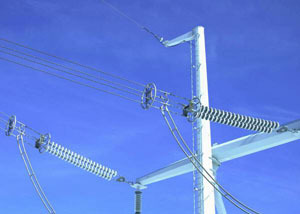 Both Reservoir and Streaming hydroelectric plants may either be connected to the grid, or operated stand-alone with no connections to the outside world. “The Grid” is a network of electrical generating stations and power lines that helps ensure a non-stop supply of electricity to everyone connected. Actually, there are several grids, some of which grid spans thousands of miles, as in North America, while others may be much smaller, such as the grid supporting the Hawaiian island of Kauai. Regardless of size, the job of the grid is to instantaneously transfer electricity from where it is being generated to where it is needed. Most likely, the grid is delivering the power that makes it possible for you to read this document. Once on the grid, electricity is electricity; it behaves exactly the same way whether it comes from hydropower, coal, nuclear, solar, wind, whatever. This is good news because any source of electricity, from huge nuclear plants to a few solar panels, can contribute power that is usable by anyone connected to the grid. On the other hand, you really have no way of knowing how your grid-supplied electricity was produced. Obviously some sources of power are much “greener” than others, and our objective is to increase the percentage of truly clean power we all use. Much of the electricity that is generated today isn’t connected to the grid at all; it powers homes and villages that are too isolated to connect to a centralized grid. Also, some homeowners simply choose to go “off-grid” as a statement of independence, opting for a little less convenience in exchange for complete self-sufficiency. More often, off-grid hydroelectricity is found in remote villages. Today, many of these villages use diesel generators for their power, which is typically a very messy process. Not only is diesel a rather dirty-burning fossil fuel, but it must be transported to the villages over both land and water. As you might imagine, environmental protection is not always the top priority in many of these remote locations. 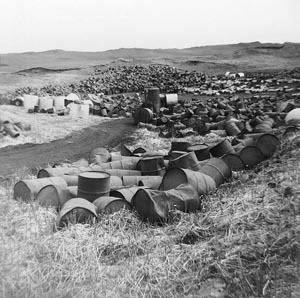 Diesel oil is frequently spilled as the fuel is moved from tankers to trucks to generators, and it is not uncommon to find areas littered with hundreds of empty diesel barrels. This Streaming Hydro system in Papua New Guinea powers a remote village and is maintained by the people who live there. In contrast, one small hydro system can power an entire community, and since no fuel is ever consumed, there are no issues about transporting diesel, coal, or even wood to keep the lights on. And, unlike technically complex technologies like nuclear power, the average trained villager is able to maintain a hydropower system based on centuries-old concepts. Many diesel-powered villages around the world are in process of converting to green hydropower, but sadly, most are not even aware of this less expensive, naturally clean alternative. A great deal of education and work still lies ahead. Whether grid-connected or in the most remote corner of Earth, a hydropower system quietly provides electricity day and night, on windy and calm days. It borrows its energy from nature, consumes nothing, and produces no waste, pollution, or CO2.